GREENVILLE, KY (WFIE) – Twenty firefighter candidates from across the region are training this week at the National Responder Preparedness Center in Greenville. 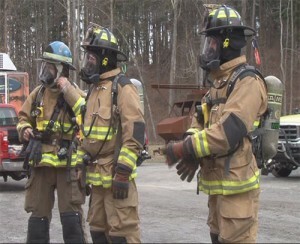 They’ll be fighting live fires and practicing the rescue of trapped people during the week-long academy. The hours put in go toward the candidates’ fire fighter certification. The firefighters will return to their departments after the academy for nine more weeks of training. Copyright 2015 WFIE. All rights reserved. National Responder Preparedness Center shared a post. Copyright © 2019 National Responder Preparedness Center. All Rights Reserved.